I know just what you’re into… It’s this. 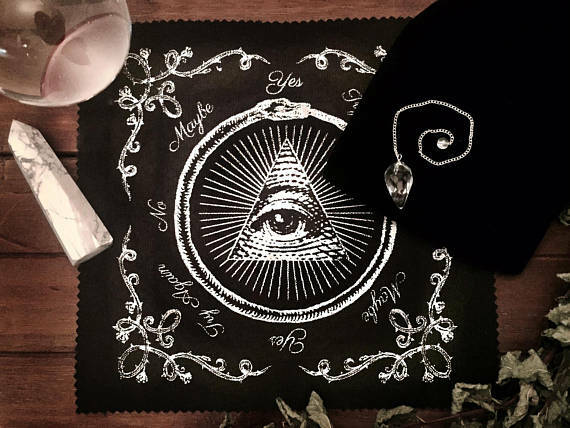 Thorn & Moon will be hosting a monthly market all their own to bring you occult adornments and handmade mystic faire. 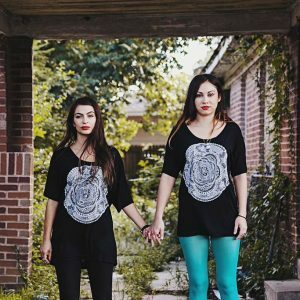 Shop their magical goods online anytime on their Etsy here. Thorn and Moon began as three friends – Jessica, Dana, and Beth -­ that were originally solitary witches. We decided to form a coven to practice and honor nature and the gods/goddesses together. We all grew up in Houston, and have known each other for quite a while, so the trust and respect that is requisite for that kind of special relationship needed for a coven was already there. All three are gifted individuals with our own unique talents. What initiated your push to evolve from private coven to public business? 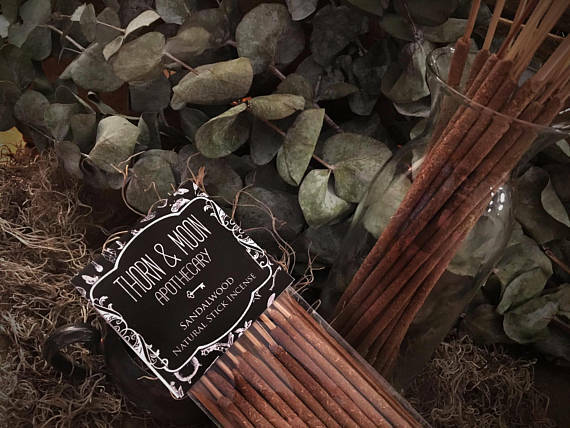 The need arose for very specific ritual items that we weren’t able to find anywhere else, so we began making these ourselves, completely DIY, like incenses and oils attributed to a particular spell or ritual, or to honor a specific deity. Witches are innately crafty, no pun intended, we sew, cook, build, and create all sorts of things. We are knowledgeable about the earth and it’s blessings – herbs, plants, and minerals and their uses. It goes back to connecting with nature and the old ways of doing things. 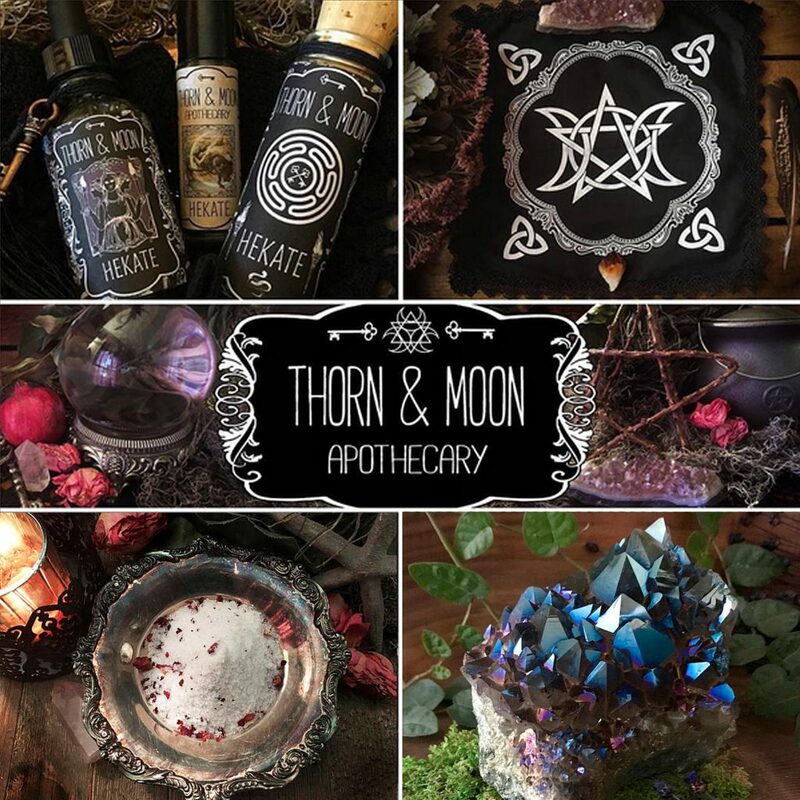 We realized a need and created a market for witch-crafted items, and it’s really all about sharing and spreading the magick. You have your very first market coming up on December 1st and Every First Friday of the Month after that! Please tell us a bit about it and your expectations. It’s definitely going to be a lot of fun and we have curated so many talented local exhibitors for our upcoming markets! There will be a DJ spinning dark underground music, and a versatile mix of artists, oddities, witchy wares, jewelry, handmade yarn, ornaments, baked goods, cocoa & spice mixes, and crafts! There will even be some very gifted tarot readers on site. 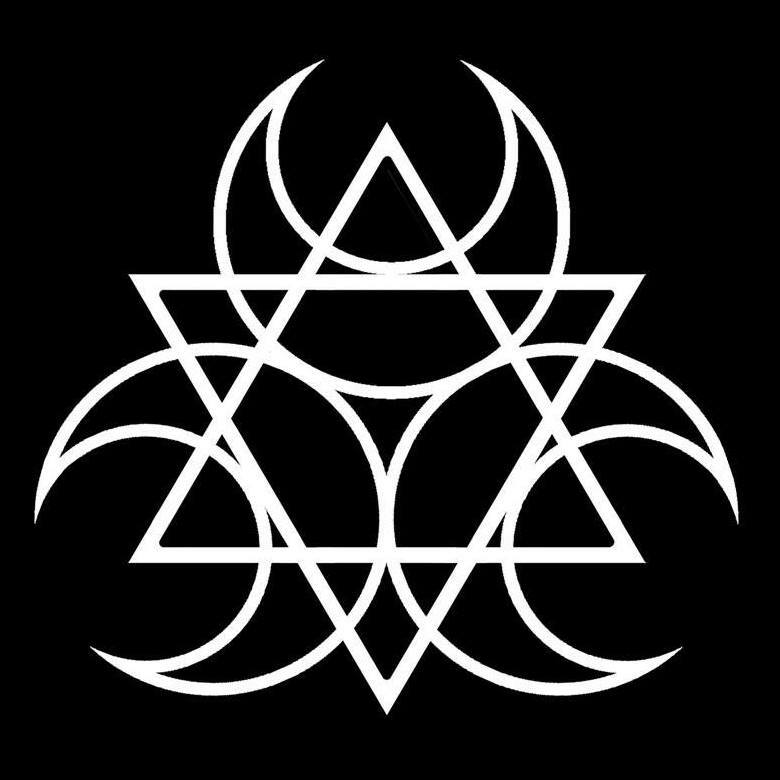 It’s definitely going to be an awesome event for some unique holiday shopping, supporting local small business and artisans, and a way for the magickal community to come together. We would like it to establish a meet-up place for more like-minded people. We would like to see this event be successful and continuous. We personally feel that Houston has a lot of room to grow to reach the status of other cities that are doing things like having more witch markets and outlets for small businesses and artisans. What are your long-term goals for Thorn & Moon? What are the most favorite items in the Etsy shop? What is your process like in designing and creating? Do you all brainstorm together, or are separate skills making you stronger? We definitely do both and work together and on our own. We do have meetings and brainstorm ideas, but we each have our own talents and interests and particulars that we work on. One of my favorite items in our shop is the Cosmos Candle, because it’s an all-in-one, get it all done Magickal candle to increase the good juju in all aspects of your life. 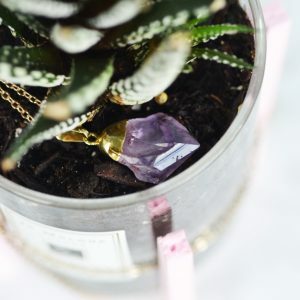 I created – and particularly love – the Mystic Eye Pendulum Kit because the aesthetic of it is very beautiful with its printed design and the lovely faceted Quartz crystal pendulum that comes with it. 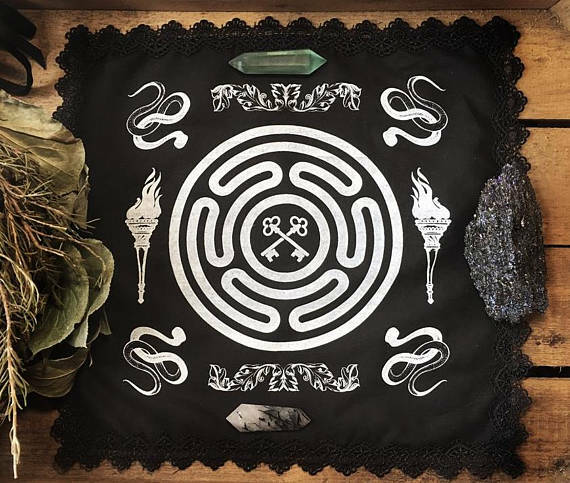 The altar cloths are at the top of the love list as well, and all of the wonderfully delicious smelling perfume oils! It’s really tough to pick a favorite. What are your favorite things to hoard–umm, collect? Many things! 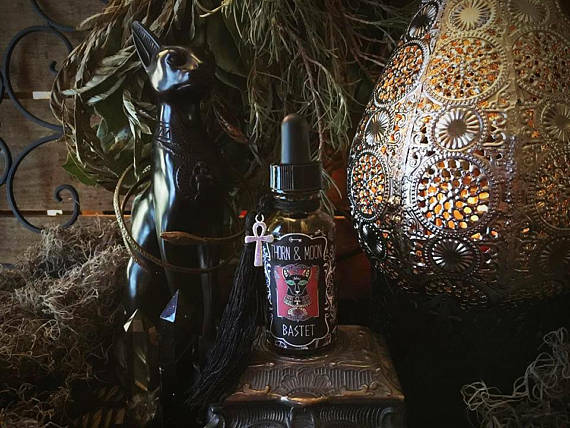 We all collect Witchy items along with spooky Halloween finds. Much of our home decor shopping is done that time of year. Dana loves the Victorian era and collects Victorian Mourning items; she also collects the Occult and Witchcraft books. Jessica collects original artwork by local artists, has an apothecary of herbs, and has collected gargoyles for years. Beth also collects herbs, magickal stones, and skeleton keys. And lastly, what makes you happiest in life? Without a doubt: Creating. Especially when it involves helping others…also our family, friends, Thorn and Moon coven sisters, being in and around both nature and animals, and continuous learning. Every 1st Friday of the Month, you can welcome their new endeavor at Avant Garden in Montrose. 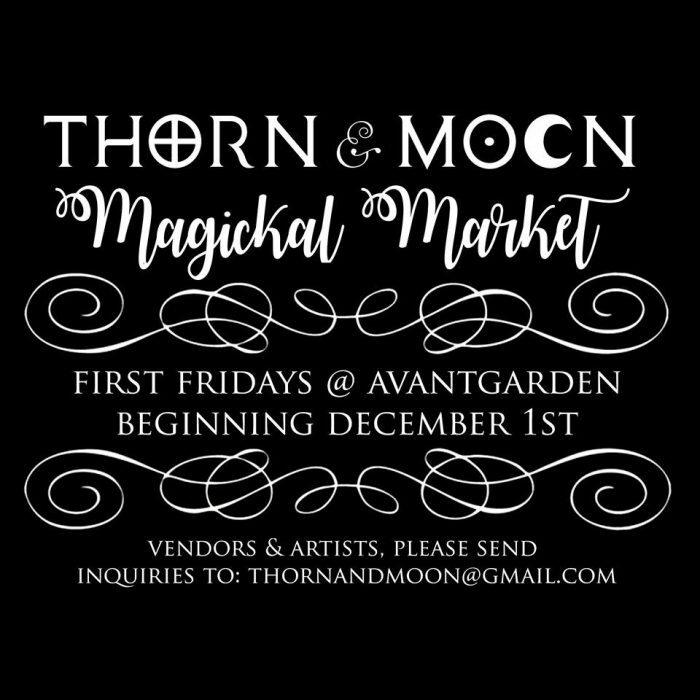 Also, follow this Texas coven on Etsy, Facebook, and face-to-face creep/admire on them at the Magickal Market every first Friday at Avant Garden. Catch em 7PM – Midnite. This entry was posted in Art, Lifestyle. Bookmark the permalink.